Two new opportunities to meet CBM in October. After AUTOCAR EXPO 2018, CBM will participate in the fourteenth edition of the TRANSEXPO trade fair from October 23 to 25 in Kielce (Poland) and in the biennial INTERNATIONAL BUS EXPO (IBE) to be held in Rimini (Italy) from October 24 to 26. Meeting our customers and leads. This is the aim of our sales teams. The month of October offers two new opportunities to present our range of spare parts for buses and coaches to you. The CBM POLSKA team will participate in the 14th edition of the TRANSEXPO trade fair to be held from October 23 to 25 in Poland. With 10,000 m² of exhibition space, 5,500 visitors expected and 164 exhibitors, TRANSEXPO is a major event in the public transport industry within the region. The program includes world firsts, new trends, Polish engineering solutions and all the latest developments in the field of electromobility. 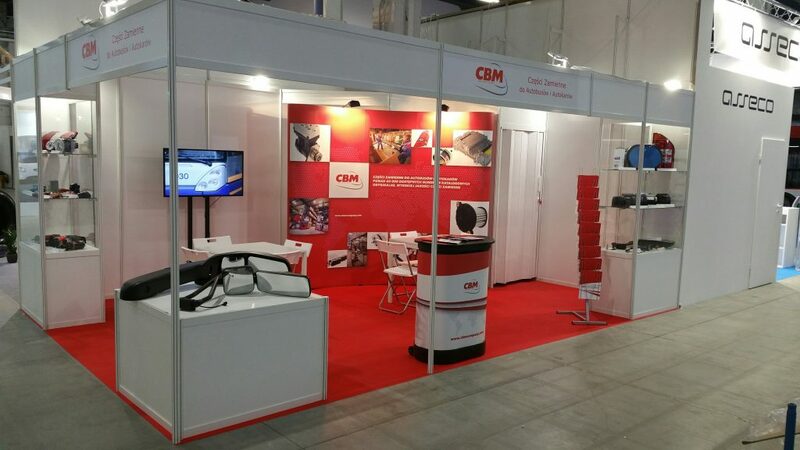 Meet the CBM POLSKA teams at stand C-9! CBM VAR will be present at the biennial INTERNATIONAL BUS EXPO trade fair to be held from October 24 to 26 in Rimini, Ital. With 20,000 m² of exhibition space, 6,800 visitors expected, 300 operators and 110 exhibitors, IBE is the only trade fair dedicated to the world of coaches, buses and public transport in the Mediterranean basin. For the 2018 edition, IBE will focus on new regulations, technologies and innovations in the field of local public transport, the sustainable environment, mobility and handicaps and bus operators. Meet the CBM VAR teams at stand 087 in hall C7!